In this Medieval hodge-podge, names from antiquity are freely recycled with little regard for their origins. Our hero’s father Theron is a wise lord of great integrity, who is betrayed by the evil Maeldan. However, Theron of Acragas is now remembered only as the “Tyrant of Sicily” for his harsh rule in the 480s BC. Theron’s vengeance-seeking son Aegeas is not exactly Aegeas, the King of Athens and father of Theseus, at least not yet. Asteria the forest foundling is hardly a Titaness, but she will act as a protector of Aegeas. However, Aegeas will save her life first in Quentin de Jubecourt’s Nymphadelle (trailer here), which screens during the 2018 Kew Gardens Festival of Cinema. For one thousand years, the good but childless king ruled over peaceful Undine. With his death, he bequeathed his throne to noble Theron, which was just fine with everyone except Maeldan. Naturally, the usurper must also completely massacre all of Theron’s line, but his loyal son and reluctant heir manages to slip away. After saving Asteria from Maeldan’s cutthroats, the two form a fast alliance. Yet, Asteria forcefully and repeatedly counsels Aegeas against wrath and the fruitless pursuit of revenge. She might have a point in terms of personal development, but Aegeas really isn’t in the mood to hear it. 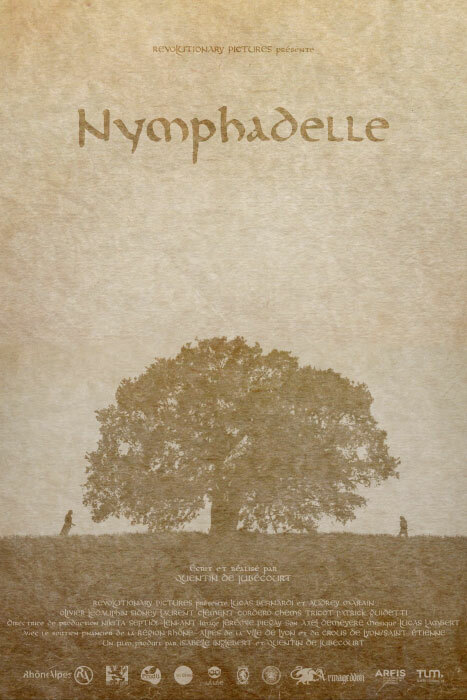 Nymphadelle’s production values are astonishingly high for either an extended short film or a rather abbreviated fifty-five-minute feature. It has the look and texture of the European Dark Ages. You can just feel that Medieval Warming Period. However, the narrative is over-burdened with flashbacks and eventually it just dissipates into woo-woo New Age mushiness. There is no doubt about it, this film needs more grit and grime. The cast is rather inconsistent, awkwardly starting with the less than imposing Lucas Bernardi as Aegeas. By far, the most valuable player is Audrey Marain, who displays impressive action chops and a gauzy fantasy heroine presence vaguely reminiscent of Michelle Pfeiffer in Ladyhawke. Olivier le Dauphin sneers with authority as Maeldan, while Patrick Guidetti is so noble as Theron, it practically hurts to look at him. Nymphadelle represents some terrific work by production designer Isabelle Inglebert and her team, but it doesn’t really go anywhere. Yet, the title is arguably quite fitting, referring to an Atlantis-like lost city, in a metaphor that is never fully developed. At least there is some decent hack-and-slash action. In fact, there is maybe just enough justify sitting through it, as part of a double-bill with the rollickingly entertaining The Doctor’s Case. Not really recommended it its own right, Nymphadelle screens this afternoon (8/11) with the highly recommended Stephen King-Sherlock Holmes film, during the Kew Gardens Festival of Cinema.